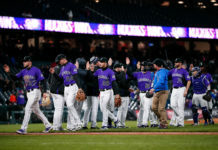 Tyler Anderson was effective in his last start on July 15th (6.0 IP, 5 H, 2 ER) as the Rockies beat the Seattle Mariners 4-3 on the road. Anderson has been a consistent performer, averaging more than six innings pitched per outing this season. Gerrit Cole has been dominant for the defending champion Astros this season, rebounding from a mediocre 12-12 record in Pittsburgh last season. In his last outing, Cole (5.2 IP, 3 H, 1 ER) led the way in Houston as the Astros cruised past the Detroit Tigers, 9-1. Jon Gray was excellent in his return from Triple-A Albuquerque. 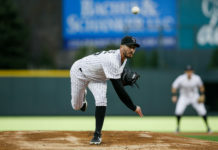 He’s won his last three starts, including two in June, but the Rockies need Gray to prove it wasn’t a fluke. If Gray can work the strike zone better and stay ahead in the count, he has good enough stuff to keep the Astros off-balance. Charlie Morton’s gaudy 11-2 record speaks volumes. After starting the season 7-0, Morton has gone 4-2 since, but his 61/23 K/BB ratio shows that he’s still in command of the strike zone. He’s only surrendered more than three earned runs twice in his last nine starts. Nolan Arenado has posted a .310 batting average over his past 10 games. Arenado leads the NL in home runs this season with 25, ranks second in RBI, and third in runs in the NL. Arenado has been on a rampage after having his third multi-hit performance in a row and his fifth in his last eight games overall. 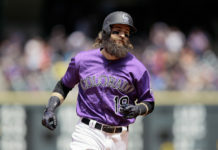 Charlie Blackmon had a difficult June, but he’s turned it around in July with a .369 average and 11 RBI in 16 games. His five homers this month tie Arenado for the team lead. Ian Desmond probably had too poor a start for his final stats to look good, but his July stats certainly do. Desmond’s sporting a .339 average this month, including three triples and a pair of homers. If Desmond keeps this play up, he could be a difference-maker down the stretch. 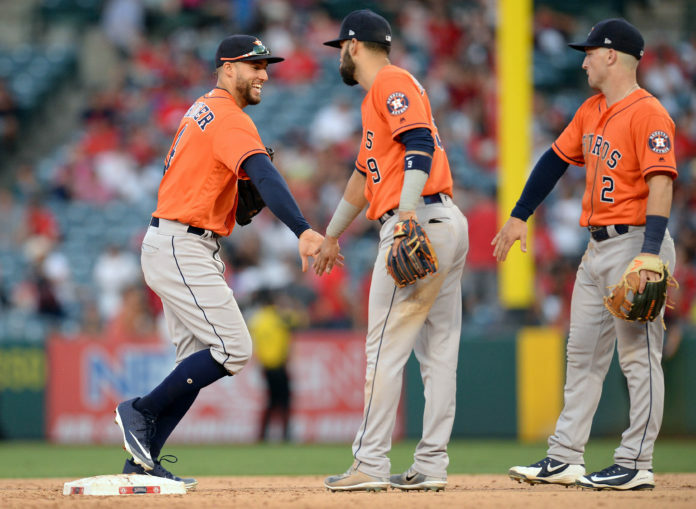 Yuli Gurriel has been another important cog in the machine for the Astros this season. Gurriel is batting .301 with 6 HR and 53 RBI. Gurriel has managed to gather 10 hits in his last 38 AB. Alex Bregman has emerged as a young star last season, and showed his stuff again in the All-Star Game. Bregman has 20 hits in July; nine of which have been for extra bases. Tony Kemp has only 38 July plate appearances, but during that span he’s drawn nine walks (and struck out only five times) and stolen four bases. Kemp’s on-base percentage in July is a whopping .447. Chris Iannetta has lost playing time to backup Tony Wolters as his batting average has plummeted. Iannetta’s only 4-for-29 (.138) in July. Pat Valaika’s versatility keeps him in the majors, not his bat. That said, Valaika’s three hits in 17 July at-bats isn’t likely to earn him more time. Noel Cuevas’ hot start has flamed out. The backup outfielder is hitting only .200 in July. George Springer’s bat is feared across the majors, but the Rockies might be catching him at his worst. His .250 average isn’t great, but it’s his paltry three extra-base hits and 12 strikeouts in his last 17 games that’s been the problem. Evan Gattis has been pressed into additional service in the wake of Brian McCann’s injury. Gattis, a mediocre-at-best defensive catcher, is hitting only .173 in July. He has big-time power — six of his nine hits this month have gone for extra bases, including four homer runs — but he hasn’t been making enough contact to be reliable.